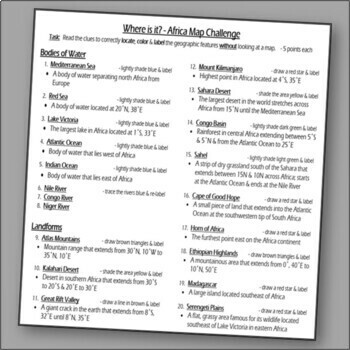 Take map-making to the next level with this “Where is it?” Africa Worksheet! 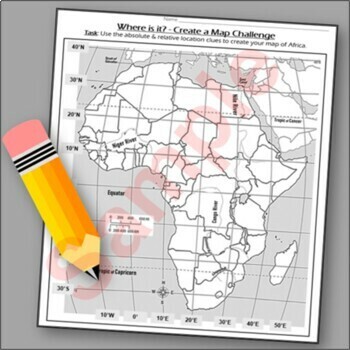 Challenge your students to think critically and create a regional map using absolute and relative location clues! End the cycle of bored students copying and labeling from a book or screen! Easy-to-follow directions makes this worksheet great for a substitute day too! 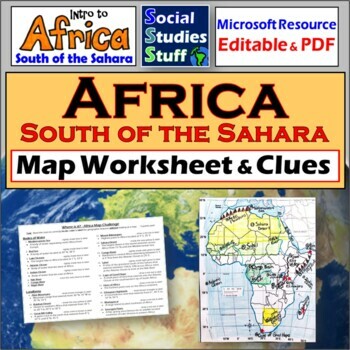 A fun and different way to integrate maps in your classroom!